When a worm meets a special worm and they fall in love, you know what happens next: They get married! But their friends want to know—who will wear the dress? And who will wear the tux? The answer is: It doesn't matter. Because worm loves worm. 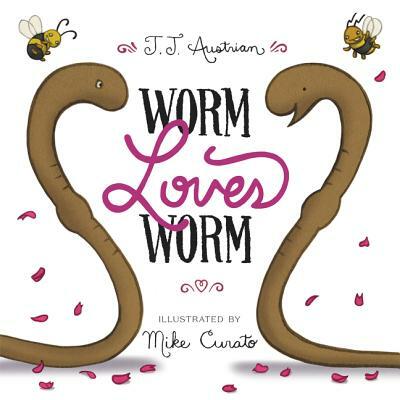 Perfect for fans of And Tango Makes Three and The Sissy Duckling, this irresistible picture book is a celebration of love in all its splendid forms from debut author J. J. Austrian and the acclaimed author-illustrator of Little Elliot, Big City, Mike Curato. You are cordially invited to celebrate the wedding of a worm...and a worm. J. J. Austrian is a graduate of Hamline University's masters of fine arts program in creative writing for children and young adults. He lives in Minnesota with his family. Mike Curato is also the creator of the popular Little Elliot series. He and his husband, Dan, were married in a very wormy wedding. They live in New York City.